Submissions are due by November 30th. For Jack Pine Circuit Award questions please contact Carrie Calder at galahad_galapard@hotmail.com. For questions on any other award, please contact Jen Hovde at 218-349-9753 or mackie_k_shadow@hotmail.com. If you received a score in any test, in any class, at any show, above 50%, you qualify for an Achievement Award! 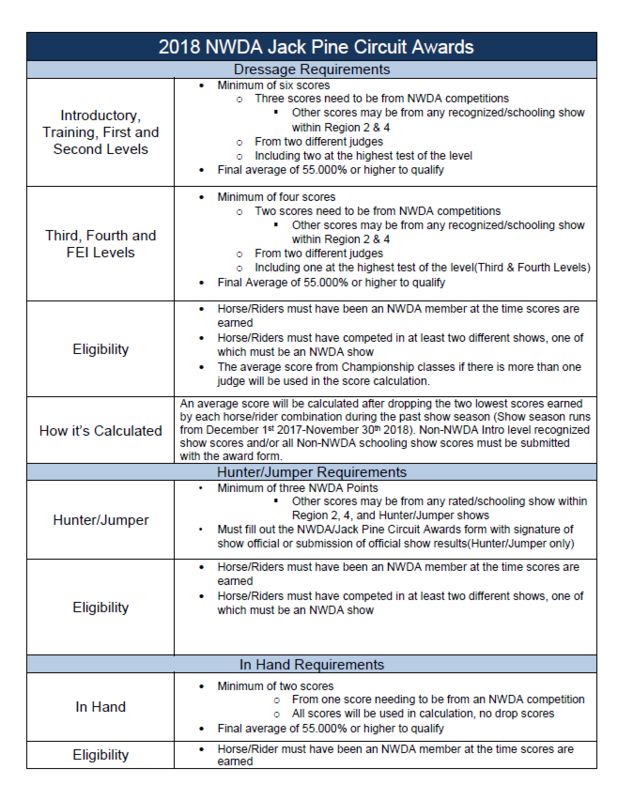 You must have been an NWDA member before the test was ridden, and you may only receive one Achievement Award per level, per horse, per year. Levels that qualify are Introductory Level through Grand Prix and In Hand classes. Shows at which the scores are earned can be any open schooling or recognized shows, classes from open breed shows, and dressage tests ridden at an open, recognized, or schooling horse trial or event. and Pinnacle Awards for 70% and above. A Mastery Award is earned by riding four tests within the same level, receiving scores of 60% or higher. All tests must be ridden by the same horse/rider combination and must have been ridden in the last two consecutive riding seasons; (please indicate dates on submitted tests; two of the tests must be the highest of the level and you must have been an NWDA member when the tests were ridden). This award is to recognize member show performance throughout the year. 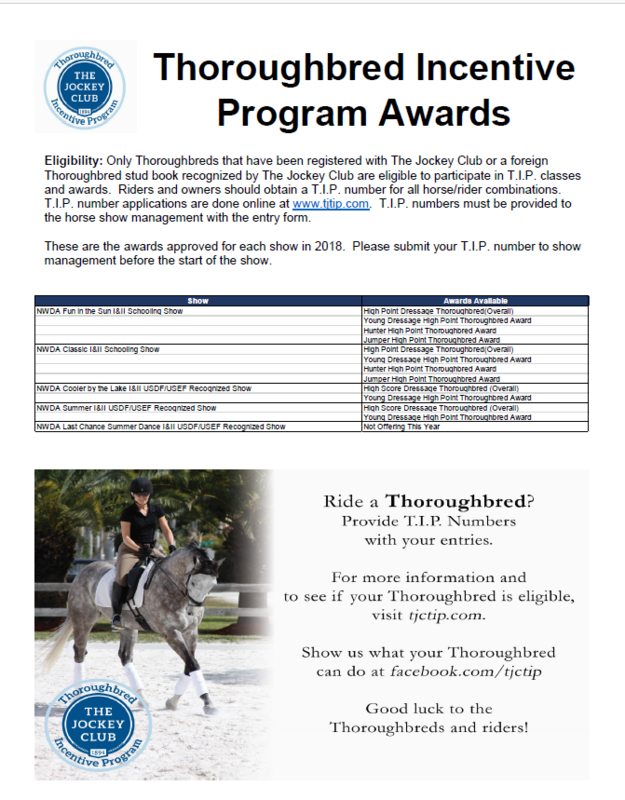 This award will recognize top Dressage, Hunter/Jumper, and In Hand performances for any show within USDF Region 2 and 4.